As manager of the Culture Section of Saskatchewan Lotteries Trust Fund for Sport, Culture and Recreation, SaskCulture is able to see, first-hand, the operations of many different types of non-profit organizations. Over the years, SaskCulture has become very cognizant of the challenges facing the volunteer Boards of Directors of not-for-profit organizations. From the perspective of our dual role, as both a funding organization and a service organization, SaskCulture knows the important role that volunteer boards of directors play within their organizations. Last June, during our volunteer board-to-board member consultations, members identified the need for basic board training that was free of charge, and held on weekends. We listened. To assist cultural volunteer board members in gaining a better understanding of their role in the success of an organization, SaskCulture is offering Best Board Practices – a one-day session designed to help cultural non-profits to address some of their challenges. These sessions are for the volunteers serving on the boards of directors of the SaskCulture membership. If any member organization staff plan to attend, they will need to be accompanied by at least one volunteer from their organization. A lawyer by day, Jan has practiced law in Prince Albert and Regina and is currently working with the Financial and Consumer Affairs Authority of Saskatchewan. Jan joined the SaskCulture Board in 2002 in the Arts position, followed by terms as President from 2004-2006 and Past President from 2006-2008. Since leaving the Board she has continued to serve on various committees including the SaskCulture Spending Plan and Eligibility Committees and the Creative Kids Provincial Advisory Committee. She has also served the Boards of Directors of Neutral Ground Art and The Art Gallery of Prince Albert. Rose has been a leader in the non-profit, volunteer sector for over30 years. While she began her career working with a variety of non-profit sports and recreation organizations, she has spent the majority of her career – over 20 years now - as a leader in the cultural sector. In 1993, she began working for Saskatchewan Council of Cultural Organizations (SCCO), now known as SaskCulture Inc., initially serving as Cultural Trust Manager. In 1998, she was promoted to the position of General Manager, a position which she still holds. Her work at SaskCulture, along with her previous experience working with in the voluntary sector has given her a solid understanding of non-profit organizations, effective governance and operations. 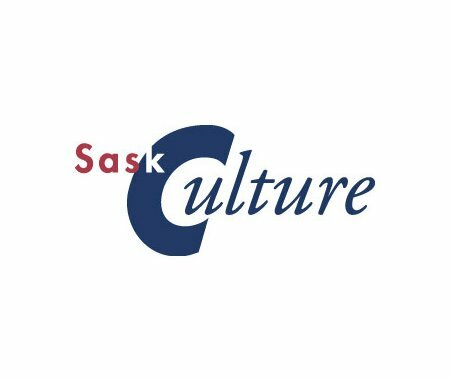 During lunch a member of the SaskCulture Board of Directors will speak about SaskCulture’s work and provide an opportunity to get member feedback. Please register online at https://saskculture.wufoo.eu/forms/best-board-practices-registration-form/. For more information contact Nichole at nwilliams@saskculture.ca or 306-780-9259. Sessions are free of charge and will be restricted to three people per organization. Note: Additional participants from an organization may leave their names on a wait list and will be alerted if space is available. Registrations must be received ten days prior to each session so that lunch can be ordered and any names on the waitlist can be accommodated.